Not so long ago the idea of 3D on set seemed like a giant leap in technology for everyday productions. Though some form of the process has been around since stereoscopic photography began in the mid 1800’s, the latest iteration was greeted with great fanfare by content creators and device manufacturers. Unfortunately for them, home audiences didn’t quite take to the idea because of a range of technical issues that made the processes uncomfortable to watch for any length of time. Not to mention the vast amount of content was created with a lesser 3D post-processing technique to avoid costs of filming in stereoscopic formats for the full effect. The newest version of immersive visual technology has had somewhat of a shorter history that resulted in some early excitement but ultimately fizzled because of the limitations and cost of the technology. 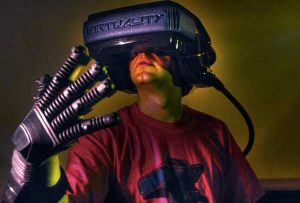 Like 3D, Virtual Reality had it’s own false start when it was briefly a buzzword of the 80’s. Because of the rise of advanced computer graphics, whole worlds could be created from scratch with enough processing power and time. However, low resolution and bulky equipment made the process awkward and disengaging beyond it’s initial wow factor. Though still used at the time by the military and other heavy industries, it was forgotten by the mainstream for another 25+ years. Flash forward to today and you’ll find a new set of low-cost and lightweight gear allowing content creators on the lower end of the budget range to explore this immersive technology. The landscape exists now to find new ways to attract a media savvy and hard to please audience. Therein lies the issue with something so new that a standard hasn’t been set yet and a visual vocabulary for what it can do has yet to be formed. Being nimble and able to experiment without great cost and risk has always allowed filmmakers to find the best methods for honing their craft. 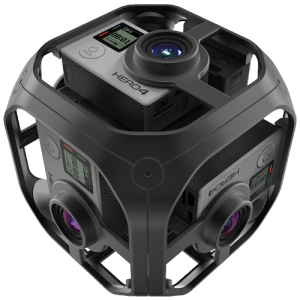 So, seeing tools like the new Teradek Sphere made me interested to find out more. It’s solutions like this that will really allow this new technology to find it’s way. Being able to visualize live on set is one of the most important tools an untested technology can have to help it into maturity. It’ll be fun to see where this goes!